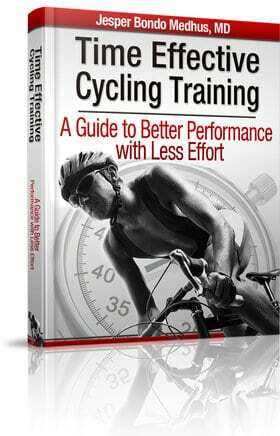 Interval training is often mentioned as the key to successful cycling training. Interval training is a cornerstone in all my training programs and I believe it is the most time effective way to achieve great results. First of all you must decide that you really want to do interval training. It might sound obvious, but if you give high priority to your interval training, it’s also much more likely to become a success. 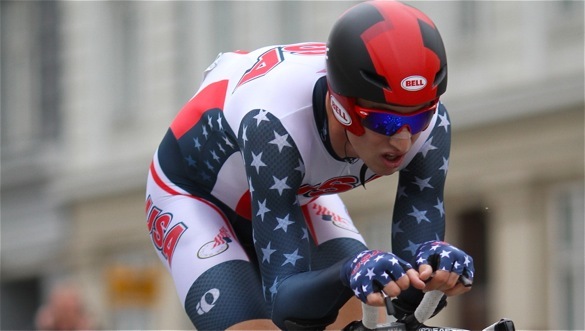 Try to perform your intervals as the most important part of your ride. Prioritizing interval training means that it is more important for you to perform your intervals than e.g. 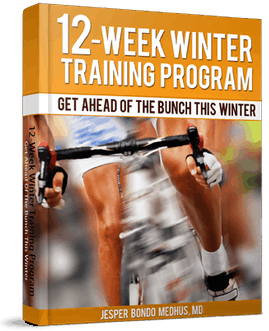 getting your planned distance, joining a social group ride or even participating in a race. Key Principles of Solid Cycling Training. When you have decided to perform you interval training, it is a good idea to make a crystal clear plan for your interval training. You (and your training partners) must know exactly what is going to happen when the interval training begins. Intensity, distance and recovery should be well defined in a way that everyone understands. There should be no need to ask questions during the interval session. When you perform interval training, you will often try to pace yourself through high intensity efforts that require a high amounts of mental power. If you have a goal with you interval training like a specific race (e.g. a time trial) you are training towards, it is a lot easier for you to go through the difficult parts of the training. Warming up before interval training should be a no-brainer. Metabolic processes are temperature-dependent, thus many enzymes perform better at higher temperatures. Oxygen transport from blood to tissue is more rapid. Warming up simply increases your performance and makes it possible for you to train at higher oxygen consumption. How to perform a quick warm-up before interval training. Pacing is a discipline in itself, but heart rate monitors and power meters have made it easier than ever before to pace yourself through an interval session. There is a steep learning curve and many positive experiences with both kind of monitoring. It is tempting to stop pedaling after finishing a hard interval, but it makes good sense to keep pedaling at low intensity because it helps your recovery. The recovery periods can also be used to maintain your oxygen consumption at a relatively high level and thus make it easier for you to reach high aerobic levels in the next interval. Bottom line is you will get more time at a higher percentage of your VO2 max and that will give more stimuli for both peripheral and central adaptations. When you have finished your interval session it is recommended to perform a short cool down. If you are serious about your cycling training, this is the time where you should start your post-training recovery process. Eat proteins and carbohydrates, drink water and ride easy to boost the recovery process. Train alone, train with other riders, try different routes, try different bikes and naturally try a broad range of intervals sessions. The best way to get experience is to experiment with different strategies and that is also a great way to keep your motivation high. When you have performed your interval session you must always remember to evaluate how it worked out for you. Are there any things you would like to adjust before your next interval session? 10.Share your best interval training tip! Just to remember you about that fact that I don’t have all the answers to perfect interval training. If you have some good suggestions, please don’t hesitate to share these tips with the readers here on Training4cyclists.com. Your comments are highly appreciated! VO2max intervals are the best! 2 or 3 sessions and results will be great! Do several intervals that are 5km long on a loop course that has an equal parts elevation and descent profile. Do 10 loops going moderately easy on the first alternating with hard. Thank you so much for all these valuable tips. I only started with MTB riding and reading your ideas gives me a great guidance and understanding on HOW TO DO MY TRAINING THE RIGHT WAY. I will definitely recommend your web site to my mates and help them with a translation (not all of them speak/read EN).